A charity fundraising event in support of the British Heart Foundation (BHF) has been organised to help mend broken hearts. 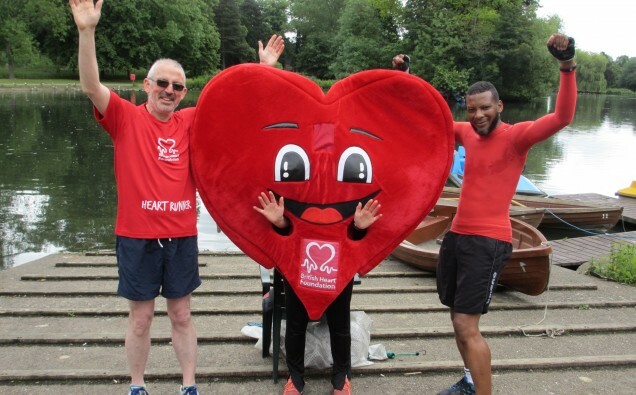 The event organised by volunteers from the Handsworth BHF Fundraising Group takes place on Sunday 17 September to raise funds for the BHF. John Doherty, age 53, an accountant who lives in Sutton Coldfield has a really special reason for taking part in the Handsworth Park 10K Fun Run this year. John began training with the Boathouse Runners 3 years ago and registered for the following year’s fun run. However, when he was training, he noticed he really struggled at times and had difficulty breathing. Luckily, he visited his GP for a check-up and was quickly diagnosed with Angina and fast tracked for treatment, resulting in an angiogram and a stent being fitted. Due to his condition, he was unable to take part in the event and another person took his place and completed the run on John’s behalf. John said: “The doctor said I was like a time bomb – a heart attack waiting to happen! I am really glad that I had the check-up and was diagnosed quickly. Since my health scare, I have worked hard to lose 2 stone in weight and started to run again recently to improve my fitness levels. The Boathouse Runners is a really supportive group, we run in pairs and tend to talk all the way round which regulates our breathing and helps us to get fit without really noticing. I am now looking forward to taking part in the Fun Run myself”. Donna Stokes BHF Fundraising Manager said: “This is a real community event with a lovely atmosphere. Tony Hayes and his family and friends are all part of the Handsworth BHF Fundraising Group and organise this event in memory of Pete Hayes, Tony’s son who tragically passed away with a heart infection at the age of 25. After hearing Pete’s story from a colleague at work, John Morris, age 53, from Handsworth Wood was inspired to register for the event and has also recently joined the Boathouse Runners.